Taranjit Singh Sandhu who was Political Counsellor in Colombo from 2000 -2004 Will be the Next Indian High Commissioner to Sri Lanka. 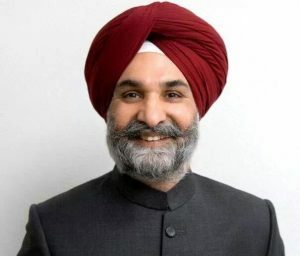 Taranjit Singh Sandhu will be the next Indian High Commissioner in Sri Lanka succeeding Y.K.Sinha who has completed his term. An old Sri Lanka hand, Sandhu was Political Counselor in the Indian High Commission in Colombo between 2000 and 2004, which covered the 2002-2004 Norway-brokered peace process in Sri Lanka. Born on January 23, 1963, he did his schooling at The Lawrence School, Sanawar, and graduated with History Honors from St. Stephens’ college, Delhi. He then took a post graduate degree in International Relations at Jawaharlal Nehru University and joined the Indian Foreign Service in 1988. He served in the former Soviet Union (Russia) from 1990 to 1992 as Third Secretary (Political) and Second Secretary (Commercial). Following the breakup of the Soviet Union, he was sent to open a new Embassy in Ukraine. He served as Head of Political and Administration in Embassy from 1992 to 1994. On his return to India, Sandhu served as OSD (Press Relations), Ministry of External Affairs from 1994 to March 1997. He was responsible for liaison with the foreign media in India. In April 1997, he joined the Embassy of India, Washington, as First Secretary (Political) responsible for liaison with the US Congress. He spearheaded India’s successful efforts to obtain Congressional waiver of sanctions imposed on India in 1998 following nuclear tests. He served as Counselor (Political) in the High Commission of India, Colombo from December 2000 to September 2004. He was Director (BSM) from September 2004 to July 2005 looking after Bangladesh, Sri Lanka, Maldives and Myanmar in Ministry of External Affairs in New Delhi. In July 2005, Sandhu joined Permanent Mission of India to United Nations, New York, where he was India’s delegate to UN Committee on Peacekeeping; UN Committee on Information; UN Committee on Decolonization and Fourth Committee of UN General Assembly. He returned to Headquarters in Delhi in March 2009 and held charge of Joint Secretary (United Nations) and later as Joint Secretary (Administration) heading the Human Resource Department Division of Ministry of External Affairs till August 2011. He was Consul General of India in Frankfurt from September 2011 to July 2013. He assumed his new assignment as Deputy Chief of Mission at the Embassy of India, Washington D.C on July 29, 2013. Mr. Sandhu is married to Reenat Sandhu, also an IFS officer, and has two children.